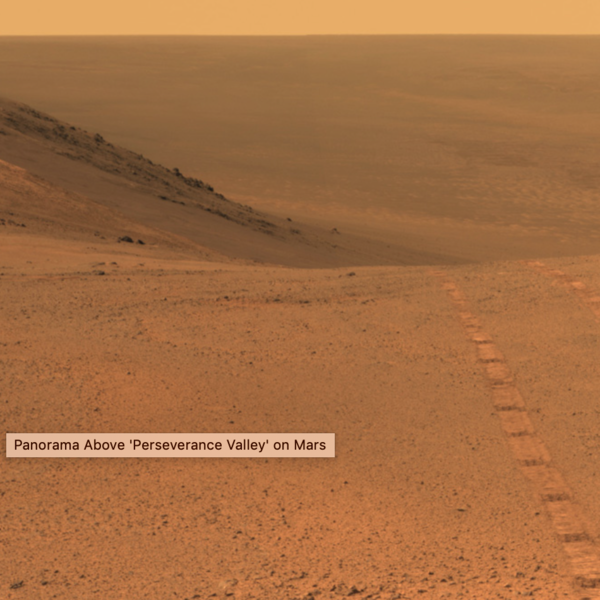 Photo:Opportunity's panoramic camera (Pancam) took the component images for this view from a position outside Endeavor Crater during the span of June 7 to June 19, 2017. Toward the right side of this scene is a broad notch in the crest of the western rim of crater. Image credit: NASA/JPL-Caltech/Cornell/Arizona State Univ.